Let me start by sharing that I am positioned on both sides of the market. In the last six months I participated in implementing nearly a dozen ICO projects (both as part of ICOBox and as a private advisor), and as a token holder I contributed to over 40 projects (both as a private actor and as a consultant to institutional token buyers). This is the foundation of my expertise in the field. To date, over 100 ICOs have been conducted, many of them successfully. Tokens of 93 projects are currently traded on exchanges. A significant proportion of these companies are growing businesses. Multiplier of over 1: 78.5 percent, and multiplier of under 1: 21.5 percent. Average price increase relative to the price at issue: 20.5*x, although there are such projects as Stratis, who reached the ratio of 782*x. Note that 20.5*x is an average, not mean number, so it accounts for the highest and lowest numbers. Below I will talk about how to end up in the 78.5 percent group when buying tokens, and to avoid getting stuck in the 21.5 percent of projects whose token price dropped after they were listed and who have been unable to come back up. This will be discussed later as a factor affecting the shortage. The expertise that you need to evaluate a project from this point of view is virtually identical to the expertise you apply when buying an interesting gadget or another product on Kickstarter. If you want to use tokens you bought as a service, a discount, or for any other purpose (for instance, many useful product tokens are being issued whose user community greatly overlaps with blockchain community), you will need to make your own decisions based on your assessment of how the market situation will impact the tokens' future worth. When buying tokens you may not have any specific plans for its future use other than to just support the project you like and believe to be promising. It is important to have a deep grasp of what the token offers, rather than blindly believe the team's claims. I doubt that you'd be happy if the price of tokens you bought dropped, like it happened to 21.5 per cent of previously issued tokens? What constitutes a perfect professionally conducted ICO? What ICO will be a 100 percent winner? This is not so hard to figure out. To find a "perfect ICO" one can just analyze ICOs which collected the most funds and find what they all had in common. The most important parameter is an overlap between the project's token holders and project users. The greater the overlap the higher the shortage of tokens. This is the key component, and it always affects first the user base and its potential expansion, then the shortage and, lastly and indirectly, the token price. Now that we discussed the key approaches and parameters let's turn to the details and nuances. As we all know, the devil is in the details, which ultimately may greatly improve or conclusively condemn the project. Let's start with the project audit, which can be done quickly and easily. These include the project's team, advisors -- famous people helping the team with their advice based on their vast experience, and project's backers -- people who are supporting the project, often also the earliest token buyers, usually through the closed presale. Each of these are the project's locomotives, the generators of both the demand and the shortage who help guarantee that the project is not a scam or a Ponzi scheme but a quality viable product. As we know, several ICOs managed to collect over $30 million based only on the reputation of their teams. Usually, when a certain person posts about their project on Facebook their friends and acquaintances are curious. Considering that an average contribution in our industry is relatively high (around $3.5K per backer), it follows that there is no need to engage a particularly large number of people. So by bringing to the fold a thousand buyers just by word of mouth one can ensure a $30 million haul. This is why in every project the team is in charge of the quality, advisors handle the project promotion, and backers who buy tokens at presale and announce it on the web guarantee its attractiveness to prospective buyers. When each of these team members plays their role well the likelihood of the tokens selling out is very high. At this first stage our goal is to forecast how fast the project's tokens will sell out, and to create shortage right away. If the team is efficient in its efforts, the users will transfer the money to the book building platform and will be anxiously awaiting the start of a presale. You have to understand how the project's token works. For instance, if it burns up in the course of the system's operations this results in its depletion, i.e. shortage. Alternatively, the token price may go up, which improves its benefit and also causes shortage. Any detail which improves the token's worth is important. A great many product ICOs employ the model in which the token is used as a legal tender within the service, or an access key, or a discount system, and one can observe over time (and this is part of the very basic mechanics of the project) that the token's worth is creeping up. This expands the project's horizons, widens its user community, and creates the shortage we are aiming for. Distribution. This is another very important parameter which should be addressed in the project's White Paper, landing page, and all other marketing materials, so that potential token holders could understand to whom and how many tokens will be allocated. If any group, whether they are the project's team, partners, or advertising agencies, is given a large number of tokens, there is a significant risk that these tokens will be dumped, which will cause a noticeable price fluctuation. Listing. First of all, token listing has to be based on something. Secondly, any token holder may then legitimately ask when will the token end up on an exchange? Oftentimes the projects and exchanges offer an ambiguous answer, and this is not a bad thing. As you may have noticed from completed ICOs, when a company announces its exchange listing date in advance, it almost always causes a serious drop in sales during the ICO. The price of tokens listed early, within 2-3 months of their issue, always drops to below its listing price. In most cases it bounces back later. The reason for listing may never be speculation but only that the project needs a wider user base. Alternatively, it could be that the project could not reach a wide enough audience during its ICO but its service works best with a large number of users, or that a certain ratio needs to be maintained between various groups of users. Consequently, all of these can serve as grounds for entering an exchange. Token listing should be a tool to develop the project, to channel it appropriately, and to bring benefit. So far we have been covering just the basics. Let's now take a closer look at the project's audit. ICO production process always contains three components: legal support, marketing and technology. To conduct due diligence or an audit one must understand all three of these components. Let's start from the first component, legal support, whose importance many may not realize. I believe it to be the key not just because I live in the US, but because the vast majority of risks are to be found in the legal field. Let's examine them. Tokens which have been structured incorrectly, incompetently, or in violation of the law will be problematic to sell in the USA, Europe, and Asia. One must understand that these risks affect the business itself, jeopardizing it. They are also not determined by the backers' or project's country of residence. Recent events involving the US regulator Securities and Exchange Commission demonstrate that market participants are advised to work with exchanges rather than engage with token issuers directly, which will naturally result in tighter regulation of said exchanges. Unsurprisingly, that will make exchanges much more cautious about listing tokens, causing them to study offered tokens very carefully to avoid being subject to securities market regulation. Consequently, if a token fails to meet certain criteria and cannot be deemed purely and simply a product, it will have insurmountable problems getting listed, and essentially will be unsellable. Here's a brief summary of the questions these tests address. Let's imagine that ICO did use an escrow account, the tokens were issued and distributed to token holders at the very end of the ICO, and the funds were released to the project. In the meantime, the tokens were not ready to be used. The result will be similar to the one above: the tokens cannot be listed, the business will be under fire, all potential US users will have to be excluded, and the resulting legal claims will plague the company for the rest of its life. 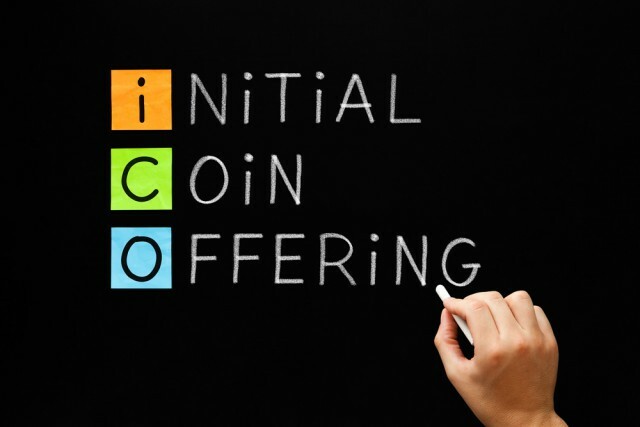 If a company conducting its ICO needs money sooner, it can divide its tokens into batches and issue these batches one at a time, with the funds to be similarly released from escrow in batches. This is not just an example of one of the ways this problem could be tackled -- this is the only correct way to do an ICO. All three factors -- escrow, token issue, and its availability for use -- have to line up just so. If the answer is nothing, then this is a direct indication that the token is a security. If no effort is required, then this is passive income, meaning it is a security -- which signifies major headache ahead. When reading a project's White Paper and reviewing its token's underlying economic model all of these issues have to be taken into account. I provided a slightly simplified version of the above-mentioned tests (in total, they contain about 20 questions), but the listed items represent about 90 percent of the tests' requirements. Overall, the application of these tests allows a regular buyer to determine if the tokens they are considering buying are securities or a product. Assess the team's marketing team (project's website should contain links to their profiles), whether internal or external. Study marketing agencies' website and/or LinkedIn profiles of the team members, establish their experience promoting blockchain projects and participating in ICOs. If a team has no experience conducting ICOs or promoting blockchain-related projects this is not so good because the basic principles of marketing in this case operate very differently than in regular marketing. SMM, PR, celebrities engagement to advertise the team, and cooperation with mass media are all implemented in a different way than when conducting marketing campaigns in other industries. Investigate the regions to be covered in a marketing campaign. The project's marketing strategy in key countries should be implemented through internal effort or with the help of external agencies. The markets to be covered should include the US, China, Japan, South Korea, the startup's country of residence. Marketing in other countries may be implemented through referral or bounty programs and by other means which do not require significant labor contribution. It is good if a project engages two-three agencies -- for instance, one that specializes on blockchain, and two that are not blockchain-related. Each agency will require a budget of around 20-30 thousand US dollars. Now we can proceed to the technology component, which allows to sell a technology understandable to the backers, and handles the project's own money loss risks and the tokens holders' money loss risks. Production standard: Ethereum ERC-20. This is a platform and a standard on which many tokens are based. By now backers have a clear grasp of Ethereum and ERC-20 standard, and they are most comfortable when the technology solutions are implemented using this combination. It is uncommon to depart from these standards, although many new platforms are being developed these days, and it is possible that the situation will change in the future. But for right now this is a very weighty argument: Several ICOs failed to attract large institutional backers only because they used alternative standards for their technology solutions. Smart contract's conformity to its description in the White Paper and website. The latter is a rather involved question. While in previous steps it was sufficient to note the existence of smart contract and accompanying instructions, here one would need to dig deeper and may prefer to engage an expert in the field. This audit should not be costly, since you don't need a written opinion, but should just answer a question of how exactly the project operates. Having received your answer, you will be able to compare it to the description in the White Paper and draw your own conclusions. At this stage we will need to understand how the token circulates within the system and how to assess the growth of user community. Simply put, you will need to evaluate the project subjectively, because everything written up in the project's White Paper is just the vision of the startup founders' and token issuers. You can only agree or disagree with it. If the White Paper contains no significant errors, this is good and normal -- people did their best, they did whatever they could to create solid grounds for being trusted. Now everything will depend on the trust of people downstream. The end results are also hugely important: If what the project promised starts to come to life, this will cause the rise in the token's worth. Things are not as exacting in this industry as they may be in venture capital or public offering fields. The token's main parameters are its quality -- what does it do and how, the assessment of supply shortage, and the risks. Nick Evdokimov, co-founder and vision director, ICOBox.